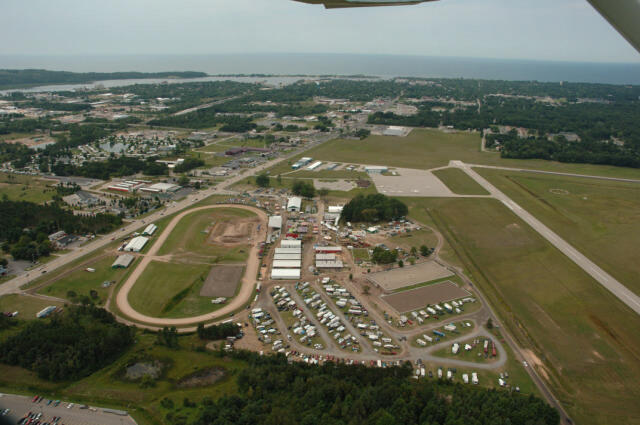 The Western Michigan Fairgrounds is located in Ludington, Michigan. Our campground has 106 grassy campsites sites with 30 or 50 amp service. The majority of our sites are pull through for convenience and ease. We have 4 bathroom facilities with 12 showers to choose from. During large events we can bring in additional porta-johns if needed. When camping with us feel free to walk around the grounds and take in all the beautiful flower gardens that our volunteers maintain for us. Also make sure to check out the nature trail located at the NE end of the fairgrounds. We are just minutes from downtown Ludington and Lake Michigan. While staying with us don’t forget to check out all the wonderful things Ludington Michigan has to offer. Take a drive down to Stearns Park and catch a gorgoues Lake Michigan sunset, stroll downtown Ludington Ave and check out all the wonderful shops in the area, or just take a drive up Lakeshore and see beautiful Ludington State Park. 1. CAMPERS PLEASE USE THE MEYERS RD. ENTRANCE . 2. Camping registration form must be displayed on camper. 3. AT LEAST ONE PARENT OR LEGAL GUARDIAN MUST STAY ON YOUR SITE EVERY NIGHT. 4. A midnight curfew on the fairgrounds will be enforced unless accom-panied by a parent or leader. Those on the grounds must be quite by midnight. No improper conduct will be permitted. 5. NO MOTORIZED RECREATIONAL VEHICLES on the fairgrounds, except as authorized by the WMFA for fair use. NO BICYCLES, SCOOTERS, OR SKATEBOARDS on the fairgrounds. 6. Fairgrounds SPEED LIMIT10 mph maximum STRICTLY ENFORCED. 8. Campfires must be contained in barrels, grills, etc. NO ground fires permitted. 9. No portable/swimming or wading pools allowed in camping area. Any other pools must have prior approval by WMFA. 10. FIRE LANES/ROADWAYS MUST STAY OPEN AT ALL TIMES, VE-HICLES IN VIOLATION WILL BE TOWED AT OWNERS EXPENSE, OVERFLOW PARKING IS AVAILABLE IN STOCK TRAILER AREA. in container and dumped at a dump station. 12. All campers will be responsible to take their garbage to the dump-sters located on the grounds. 13. ABSOLUTELY NO HORSES/LIVESTOCK ANIMALS IN CAMPING AREA. 14. Horses or livestock trailers must be parked in WMFA designated ar-eas unless used for sleeping quarters. Tack/cargo trailers permitted on campsite withth approval of WMFA camping representative. 15. Unauthorized animals and/or pets are not allowed on the fairgrounds at any time with the exception of dogs. DOGS ARE ALLOWED IN CAMPING AREA ONLY Or at the dog show or clinics during fair week and MUST be on a leash at all times. Fair animals must be caged or leashed by handlers at all times and stay in areas appropriate for their species. No animals permitted on the midway with the exception of Leader Dogs. 16. POSSESSION OF ILLEGAL DRUGS IN PROHIBITED AND ANY-ONE IN VIOLATION WILL BE BANNED FROM THE FAIRGROUNDS AND LAW ENFORCEMENT WILL BE NOTIFIED. 17. 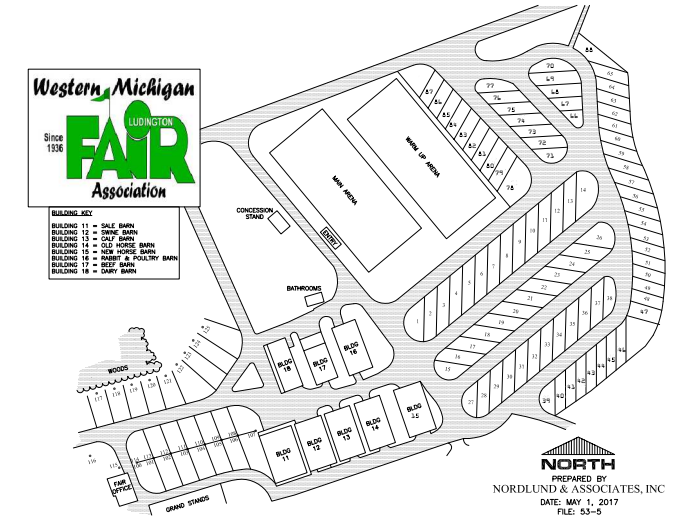 The Western Michigan Fair Association will not be responsible for any injury,loss,or damages whatever the reason incurred while camp-ing on the fairgrounds. 18. 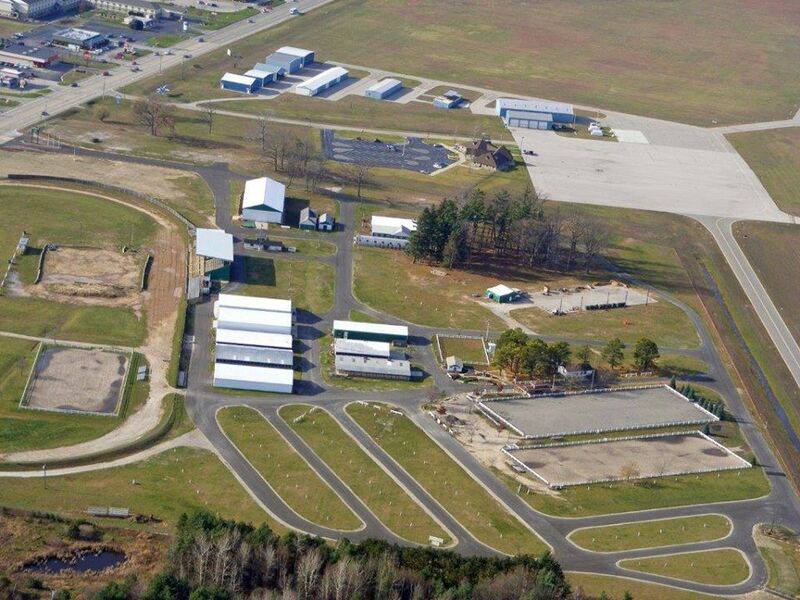 WMFA reserves the right to ask any person or group to leave the fairgrounds.